Happy Holidays! I hope my American readers had a great Thanksgiving! Ours was very nice, and surprisingly stress-free, but I have to say how happy I am to get back to work creating fun holiday freebies for you! 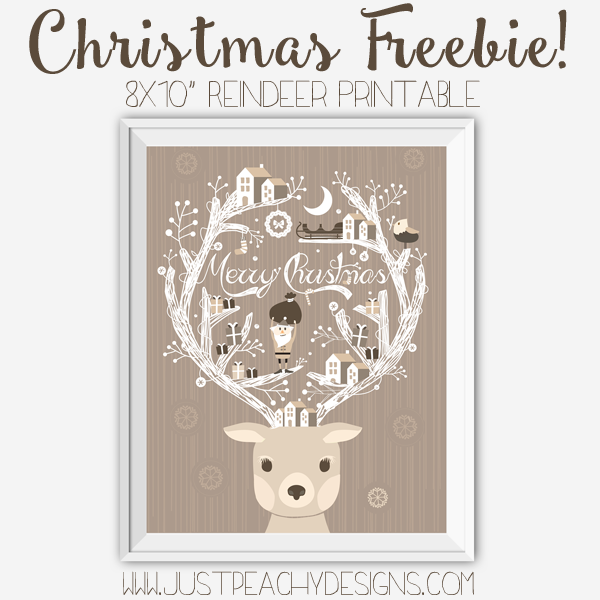 Here's the latest one - an 8x10 Christmas printable featuring a festive reindeer graphic from Bigstockphoto.com. Isn't he adorable? Just click the image above to download. And be sure to check out this link for more Christmas freebies, including gift tags, treat bag toppers, iPhone wallpapers and so much more! Even if you have an aversion to using cheat codes or walk throughs with video games, you may find a little of research helpful with many types of games. Role-playing and strategy games, in particular, very complicated tactics and strategies. Don't feel bad about looking up the info you need to master these advanced gaming moves.